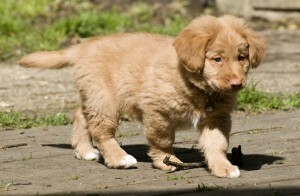 Dog blog - How to find, raise and train the perfect dog? Who is Tammy? A Star.. The reasons for training large, powerful dogs are obvious and abundant. You need to be able to control them and they’re often much stronger than you. They can very easily outrun you and it’s very possible they could hurt another person, whether intentionally or inadvertently. Even just walking a bigger dog on a leash can be next to impossible if the dog hasn’t received some basic obedience training. Small dogs, on the other hand, are not strong or threatening. All you have to do is pick them up – problem solved, right? Wrong. It’s very important for you and for your small dog that you take it through at least some basic obedience training. The health of your dog and your relationship with them will be greatly improved with just a small investment in obedience training. Aggression in small dogs is very common. Many small dog owners don’t see this as a problem because they figure their dog is too small to hurt anyone. This is both an errant assumption to make and an insufficient reason not to address your dog’s aggressive behavior. Aggression is just as much a problem in small dogs as it is in larger dogs. Small dogs are very likely to become aggressive precisely because they never receive the obedience training that larger dogs get. People tend to think that everything they do is cute and so inappropriate behavior is rewarded. Also, the easiest way to control a small dog is simply to pick them up. This gives them the attention they want and reinforces the inappropriate behavior as well. All of these dynamics make the small dog think it is in control – it is the dominant one in the owner-dog relationship. If you don’t assert your dominance effectively and consistently, your dog will forever be fighting you for the top spot in the pack. This is not going to get your dog to behave well and it’s not healthy for the dog either. The benefits of obedience training are not limited to the specific commands you teach your dog. By taking your dog through an obedience training regimen, you’re establishing your authority and opening a clear line of communication with your dog. Having this type of relationship with your dog is just as important no matter what size your dog is. Having an established way of communicating with your dog is definitely important for the health of your relationship with your dog, but it’s also vital to ensuring his safety as well. When your dog listens to you and respects your authority, you can protect it from a variety of dangerous situations. If you don’t have the tools to command your dog’s attention and respect, you won’t be able to keep him safe nearly as effectively. If you own a small dog, you no doubt want the best for it. In order to make sure you’re giving your dog the best care possible, it is terribly important that you take it through some basic obedience training. This really takes very little effort and the benefits are numerous. You may very well be shocked at how much some simple training can improve your relationship with your dog. Teaching your dog tricks is fun. That’s not the only reason it’s a good idea though. It also helps you to build a stronger relationship with your dog and can go a long way towards helping to eliminate unwanted behavior before it starts. It’s not true that you can’t teach an old dog new tricks either. No matter how old your dog is, it can learn a few simple tricks quickly and easily. As with any type of dog training exercise, the keys are consistency and patience. You can quickly have a better behaved dog with an impressive repertoire of tricks with which to impress your friends. Dogs want to work. As domesticated pets, their opportunities for this type of action is limited. Teaching a dog a trick means that it must perform a particular action or set of actions on cue. As far as the dog’s concerned, that’s the same as giving it a job. And a working dog is a happy dog. Plus, working with you to perform and learn new tricks means that the dog is getting your attention and praise. This kind of positive reinforcement is the best way to build a strong relationship with your dog. Of course, obedience training is a great way to build this type of relationship too. Teaching tricks though can be a great way to supplement and reinforce your obedience training. It’s also a good way to continue this type of interaction after obedience training is no longer necessary. Making time for your dog will contribute greatly to their well being and help them continue to thrive. It doesn’t take a huge time commitment to teach your dog a few fun tricks. You just have to be consistent and patient. Plus, you’ll probably start looking forward to your sessions as much as the dog. It’s a great feeling for you too when you see your dog master a trick that you taught it. You’ll develop a much stronger bond that will translate to other situations as well. There are a few training aids that you’ll be wise to invest in before you try to teach your dog tricks. You may already be familiar with them if you used them for obedience training. One of the most useful training aids is the clicker. This simple tool allows you to “capture” a particular action or behavior and get your dog to repeat it. It can be incredibly helpful when it comes to training your dog to do tricks. Healthy treats are also something you should have on hand. Aside from your praise, this is the best kind of direct positive reinforcement. You and your dog can have a lot of fun together and build a much stronger relationship through the trick training process. You can put your dog to work without it feeling like work to you. You can also reinforce the tenets of obedience training and increase their effectiveness. Some problem behaviors are more straightforward to deal with than others. Learning how to deal with your dog’s excessive barking problem can seem difficult on several levels. It is absolutely possible to correct and deal with this type of behavior, but you have to take a few things into account first. There are a lot of reasons why dogs bark, and you can’t stop them from barking all of the time. You also don’t want to stop your dog from barking when it may be appropriate. Your dog may bark because he isn’t getting enough mental or physical stimulation. Just like a little kid acting out, your dog may bark because he’s bored. Make sure your dog is getting the exercise and attention he needs from you. Don’t pay attention to him when he barks like this though. A direct reaction to this type of barking, even a negative one, will only encourage your dog to behave the same way again. Your dog may be bred to bark a lot. Many herding dogs and hounds have this trait because of the jobs they were bred to do. If you have one of these breeds of dog, he may be barking because it’s in his genes. This doesn’t mean that you can’t train your dog not to bark when it’s inappropriate. It is important to be aware of the possible causes of the excessive barking so that you can approach correcting it in the right way. Dogs are pack animals. Your dog may bark excessively when you leave him home alone because he’s separated from his pack and doesn’t know how else to find you again. This can be one of the most difficult excessive barking problems to address, but it can be done when you know what is causing the problem. The main pitfall you have to be sure to avoid in this type of situation is unconsciously rewarding your dog’s barking every time you come home. If your dog is barking while you’re gone and then you come home and immediately give him attention, he will think it was his barking that caused you to return. In order to break this cycle, you have to ignore your dog if he is barking when you first arrive home. Only once he’s settled can you initiate contact and give him the attention he wants. Your dog may bark when a person he doesn’t know comes near the house. This could be anyone that your dog perceives to be a threat to their territory. It can be particularly difficult to eliminate this behavior if your dog is barking at the mailman or other delivery person because these people are guaranteed to reward the behavior every time. The mailman comes, your dog barks, the mailman leaves. It’s not an impossible cycle to break, but it will definitely take some work. These are just a few of the reasons that dogs may bark excessively. It is an annoying problem and an important one to fix, but it’s good to keep in mind too that there are times when you’ll want your dog to bark. Barking can be a healthy way for your dog to express himself. He just has to know when it’s appropriate and when it’s not. Puppies are cute. They’re playful and happy and full of energy. All they want is your attention and praise and it’s very tempting to give it to them no matter what they do. There are a lot of problem behaviors that have their roots in uncorrected puppy behavior though. You need to be careful and establish the right rules early in order to ensure that you’ll always have a strong, healthy relationship with your dog. One of the most common puppy behaviors that can turn into a big problem later is jumping up on people. Dogs will do this for several reasons, and it may seem cute at first. 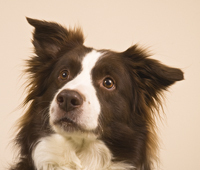 If left unchecked, however, jumping up can become a big problem, particularly in larger dogs. It’s a pretty easy problem to fix though, and it’s well worth doing. The main reason dogs jump up on people is that they’re excited. Your dog is so happy to see you when you get home that they jump up to greet you. While it’s nice that your dog is so glad you’re home, this is not the best way for them to express it, and you need to make that clear. Your dog is excited to see you and wants attention – don’t give it to them. If you give your dog attention – even negative attention – when he jumps up on you, all you are doing in reinforcing the behavior. You need to avoid this type of reaction if you want to change the way your dog is acting. There are a few simple ways to do this that can be very effective. When you know your dog is about to jump up on you, turn your back to them. Your dog wants your attention and thinks this is the way to get it. You need to completely ignore them and not make eye contact until your dog is no longer jumping up. Once they’re settled down, praise them immediately. This will reinforce the idea that good things come when they’re not jumping up. Instead of turning away completely, you can simply give your dog something else to do when they jump up. Commanding them to sit, for instance, is a good way to encourage a different behavior. You must be sure and lavish your dog with praise and attention when they do what you’re asking. This way, your dog will make the association that jumping up gets them nothing, while sitting gets them the attention they’re looking for. Jumping up may not seem like a big deal. It’s annoying sometimes, but your dog only does it because they love you, right? This may be true, but it can become a problem quickly if your dog jumps up on children or elderly people when he becomes excited. In order to avoid the possibility of anyone getting hurt, it’s best to train your dog early not to jump up on anyone. This will make it easier for you to enjoy your dog in all kinds of situations. It may seem completely normal for your dog to be aggressive around and protective of his food. Generally that’s a trait most wild animals would display because food is such a precious resource to them. Allowing your dog’s food aggression to continue unaddressed, though, is unwise. Particularly if your dog is aggressive towards you around food, this can lead to a dangerous situation for you or another member of your family. In order to understand how to address this problem, you need to understand what motivations your dog is really acting on. Just like with many other problem behaviors, your dog’s food aggression is a result of a struggle for dominance. In a pack, the leader or alpha eats first. If your dog is aggressive towards other animals when food is involved, it’s often because your dog is trying to assert his dominance over them in the household hierarchy. In a case like this, it is a good idea to separate the aggressive animal during meal times. Correcting your dog’s perception of your relationship can have a positive effect on just about every aspect of your dog’s behavior. If your dog is aggressive when you are around his food, it’s likely that the dog is challenging your authority in other ways as well. This may seem like an overwhelming situation. In reality, you can fix all of these behaviors at once by establishing your role as alpha in all situations. Once your dog knows that you are in charge, you’ll find his bad behaviors occur much less often and are easier to correct. If you really think your dog may pose a physical threat to you or a member of your family though, you should consult a professional dog trainer. Another reason your dog may be aggressive around food is that he doesn’t know if or when he will get more. This confusion causes your dog to guard and hoard his food like he would do in the wild. Structuring meal times and keeping him on a schedule can help to reassure your dog that he doesn’t need to worry about where his next meal is coming from. There are a lot of effective ways to deal with food aggression in your dog. Depending on the cause of the behavior and the extent or severity of the aggression, you may want to consult a professional dog trainer for advice or help in dealing with this type of problem. You are not the only one who will benefit from addressing this problem either. Your dog will be much happier and healthier once he knows that he doesn’t need to worry about protecting his food. Dogs dig for a wide variety of reasons. They may be bored and looking to find a way to entertain themselves. They could also be looking for a way to get your attention. Digging is also a natural behavior that has several uses for animals in the wild. There are some breeds of dogs that just have the behavior hard-wired into them. They may be digging to make a den for themselves, or to create a good hiding place for some treat or treasure. 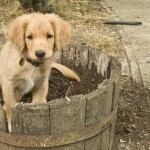 Basically, it is normal for dogs to dig and there are a lot of reasons they do it. If this type of behavior is becoming a problem for you though, there are several easy and effective ways to deal with it. One sneaky way to stop your dog from digging is to scare them out of it. Try blowing up some balloons and burying them in the area of your yard where your dog likes to dig. Popping a balloon while they’re digging is not an experience your dog is likely to enjoy at all. If they repeat the experience even just a few times, your dog is probably going to make enough negative associations with digging that they won’t want to do it again. Another variation on this technique is to bury chicken wire or something similar in the area your dog likes to dig. The experience of hitting the wire in the process of digging a hole can lead to the same kinds of negative associations as the popping of the balloon. Your dog may simply be digging because he is not getting enough physical or mental stimulation. Making sure your dog is getting enough attention and exercise can be all it takes to put his digging plans on hold. This will also work if your dog is digging to try and get your attention. Giving your dog a reasonable amount of attention by playing with him and walking him frequently can help stop unwanted digging behavior and take care of some other problems too. In fact, a lot of bad behavior is a result of a dog not getting the attention or exercise they need. Some dogs are naturally more high energy than others and so can require a bit of extra stimulation and exercise. 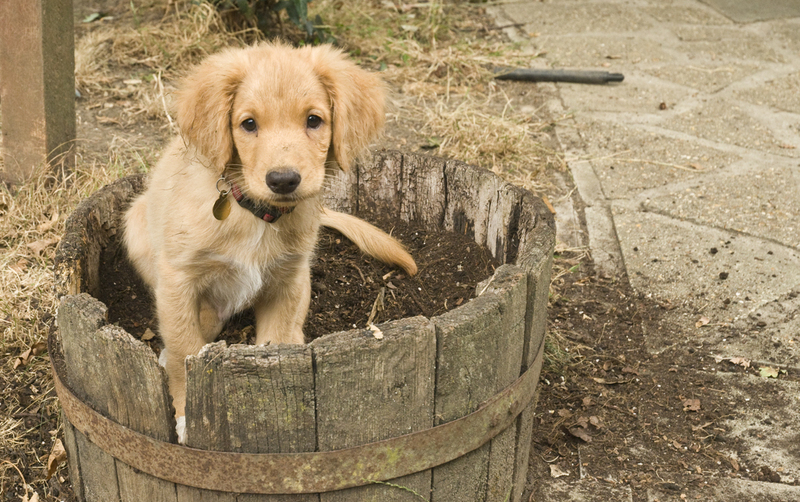 Creating a special digging space for your dog can be a great way to give them what they need and still keep your yard, garden, and flower beds intact. Cordon off an area and fill it with soft sand or soil that is loosely packed and easy to dig in. Bury some of your dog’s favorite treats or toys in this area and encourage your dog to dig them up. It should not take long for him to realize that this is his digging area and that digging here is much more beneficial than digging in other parts of the yard. Bad behaviors put a huge strain on the relationship between you and your dog. It doe not have to be that way though. Taking a few simple steps to address an unpleasant behavior may be all it takes to improve your relationship with your dog and allow you to enjoy each other’s company again.